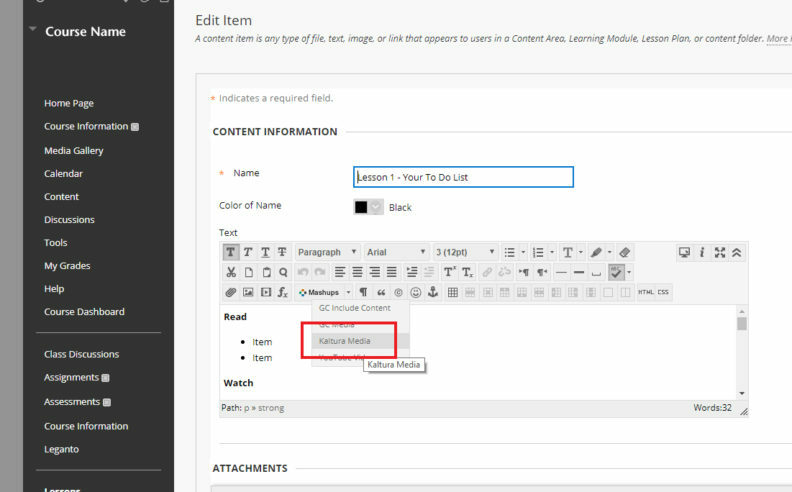 The tutorials below will help instructors get the most out of the Blackboard Learn learning management system. For other Bb Learn workshop options, visit the training page. If you can’t find what you are looking for, please contact us. This page will be evolving, so we’d like to know what you need. To watch a video in full screen mode, after you select the play button select the full screen toggle located in the lower right corner of the video player. 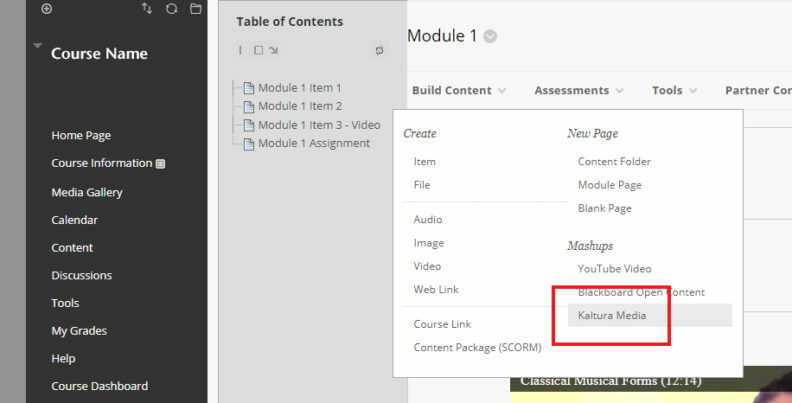 You can also access WSU Blackboard instructional tutorials on the YouTube page. Note: This video is for Global Campus only. Note: This video is for non-Global Campus courses. 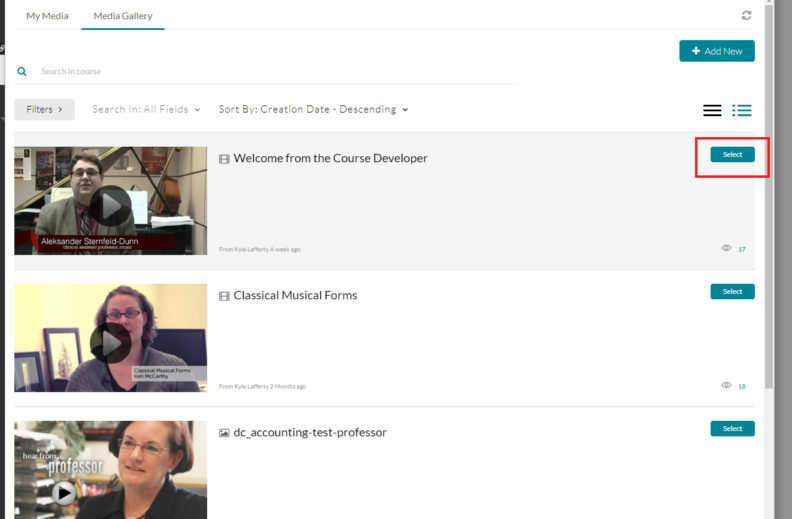 A list of course videos is available in the Media Gallery, found under Tools. 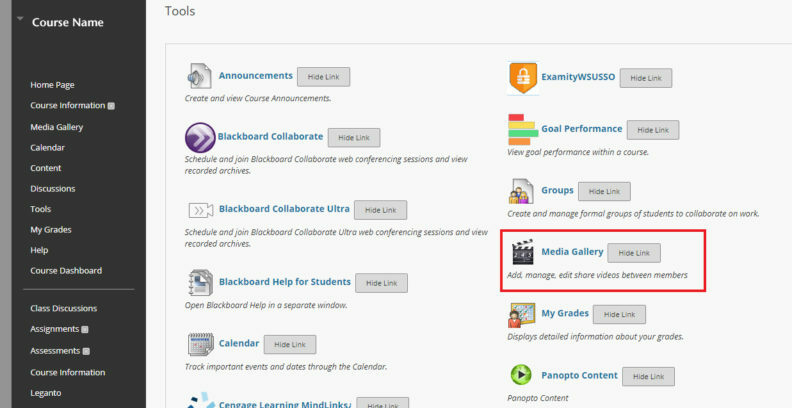 If a link to the Media Gallery isn’t already in the left nav bar, visit Blackboard Help for instructions on how to add the link. Option 1: Within an item’s toolbar, select Mashups and choose Kaltura Media. Option 2: Within Build Content, under Mashups, select Kaltura Media. With either option, in the popup window select Media Gallery, then select the video to embed. Video transcripts will now be located only in the Media Gallery. From the video, select Attachments to download the transcript.